Your crocuses and daffs and tulips were lovely, but now they’re just a mess. The candytuft really filled the space, but now it’s all just one big mess. 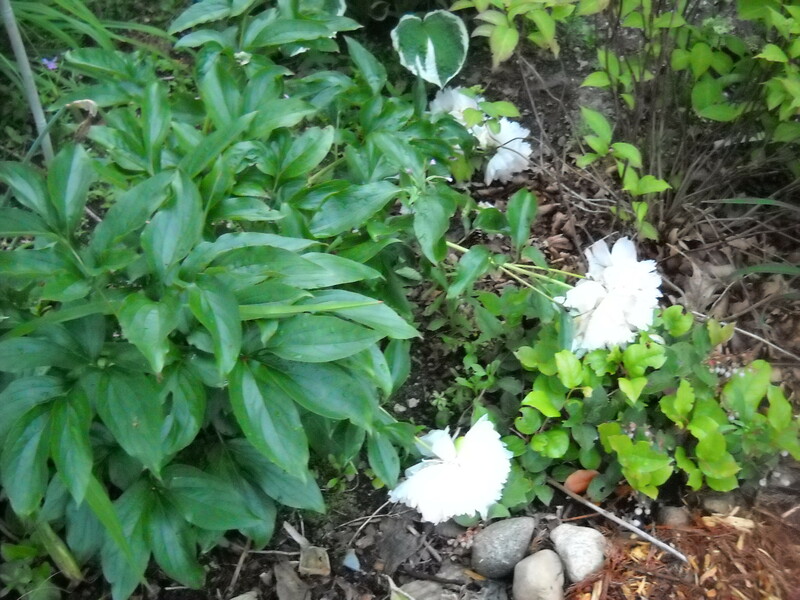 The early peonies were bright and bold, but now they’re really a mess. What to do? Cut, cut, cut. But cut with care! I didn’t stake these up, so this is the consequence. I managed to cut a few for a bouquet before losing the rest. 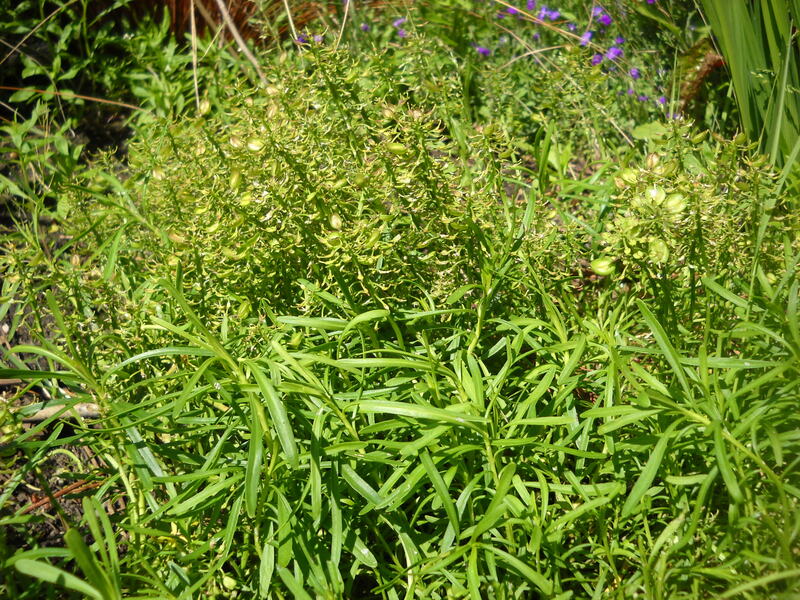 You can cut off the flower stalk, but leave the rest of the foliage. It’s lovely right now, will furnish cuttings for bouquets through the rest of the growing season, and will probably turn a bit red in the fall before they finally succumb. A lot of your larger non-bulb spring plants can be treated the same. Most of your bulbs need to continue to grow and photosynthesize even after the flower fades in order to replenish the bulb, and in some cases multiply the bulb. So you can cut the flower stalk and leave the foliage until it turns completely yellow. Problem is, of course, it begins to look unsightly pretty soon after the flowers are done. 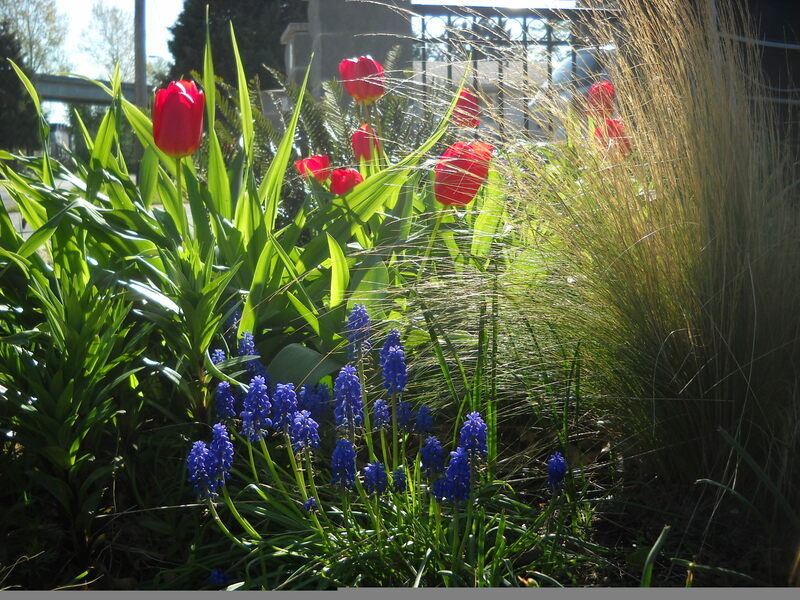 Your best solution is to plant bulbs in among other perennials that will grow up alongside, or soon after the bulb, so the new growth of the companion plant hides the dying foliage of the bulb. This is the same spot as the picture at the top of the post. 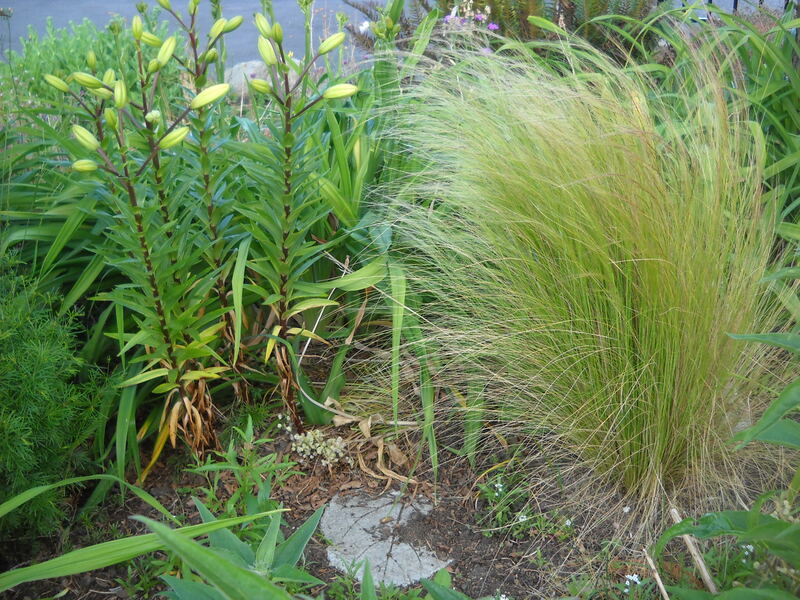 Grasses, lilies and (not visible in the picture but off to the left) coreopsis–all hiding the tulip leaves. I won’t bother cutting them off, they’ll be compost by the end of the year. 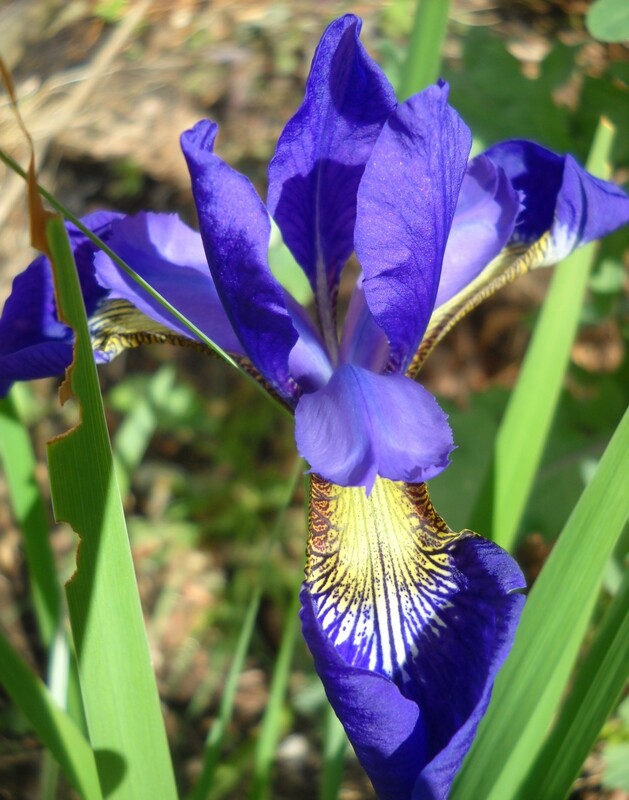 Irises (a rhizome) are easier because they maintain their sword-like foliage into the late fall. 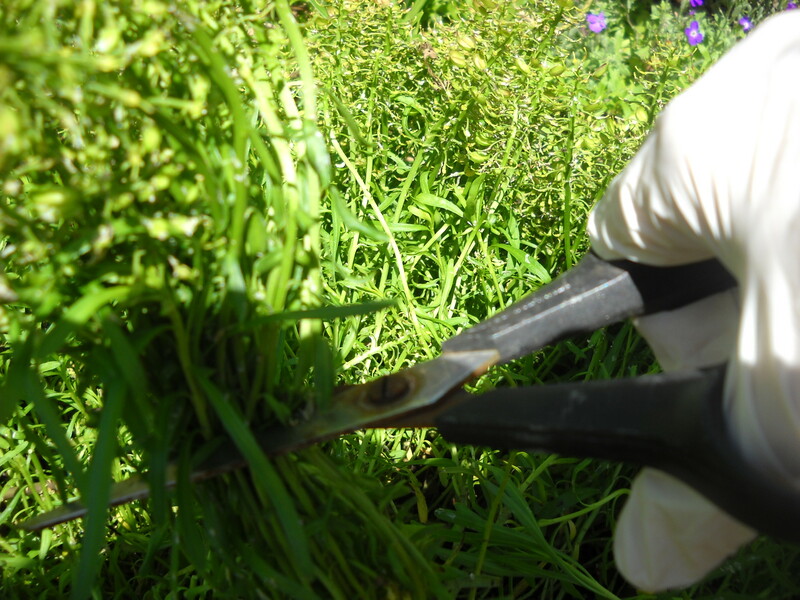 All you have to do is cut down the flower stalk. 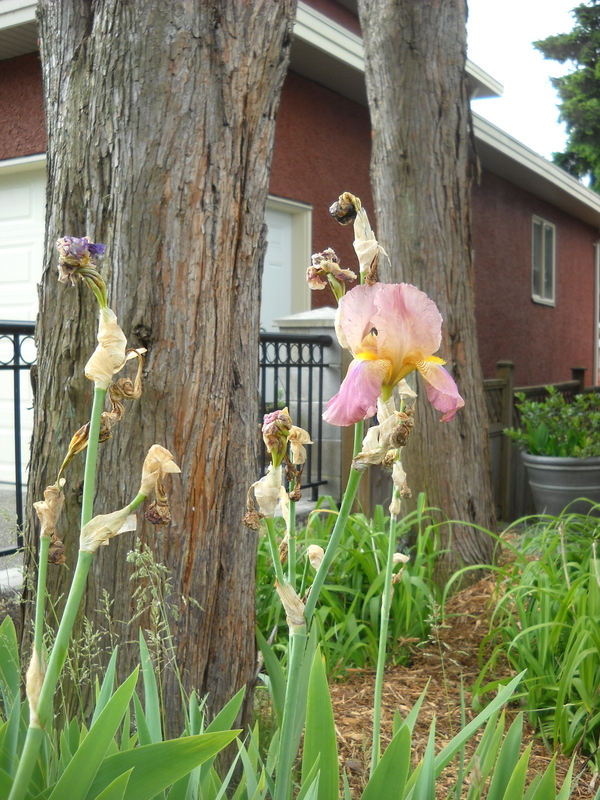 Last bloom of the irises–can be sacrificed for the sake of getting rid of the unsightly stalks. Some faded flowers are definitely worth keeping. 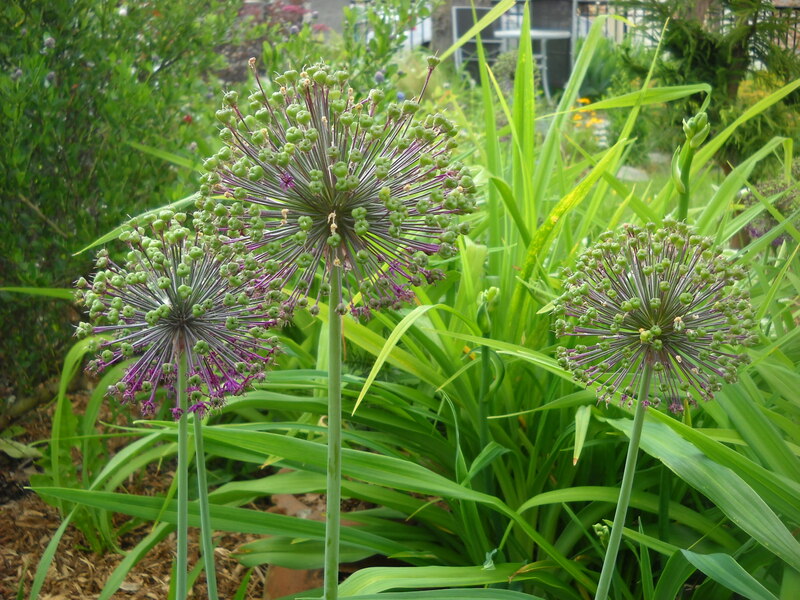 This allium (‘Purple Sensation’) is setting seed, and usually that means that it isn’t putting it’s energy into replenishing its bulb. But why cut down something that looks this good? Aubretia, Creeping Phlox, Iberis–all ground covers that bloom like crazy in the spring, then really NEED to be trimmed after blooming so they’ll maintain a nice neat growth habit. Otherwise they get woody, or sprawl all over the place, or grow out the ends and die in the middle. Trimming is exactly what it sounds like–grab a handful and CUT. You can just see (it’s all the same green unfortunately) the faded flower stalks that are setting seed. I’ve taken a good handful here and I’m cutting well below the beginning of the faded flowers, leaving just a bit of old growth. It’ll grow back in no time, and increase in size. Most of your similar low-growing spring bloomers can be handled the same. I’ll have more tips for pruning in future posts. Post some questions below about your own pruning needs–I’ll answer what I can, research what I don’t already know, and ask my more expert friends if I’m still in the dark. And as always, click on the “Follow” button, and “like” on Facebook.